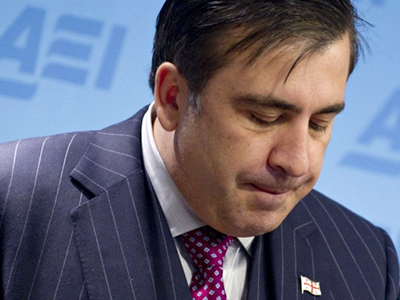 Three people have been detained and sentenced overnight after throwing chocolate at the Georgian president Mikhail Saakashvili. The incident occurred when the Georgian leader arrived at the Mardzhanishvili Theater in the capital of Tbilisi on Friday. 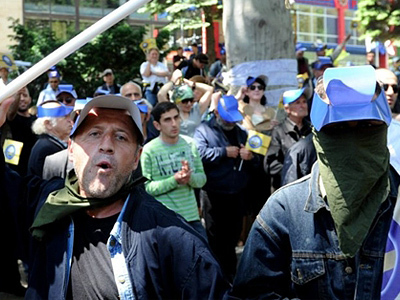 The young men reportedly shouted insults at Saakashvili and one of them threw chocolate at the president, Interfax news agency quoted Georgian media as saying. The three men were immediately arrested, charged on hooliganism and convicted. One of them will now have to spend three months in prison, another one will pay a US$300 fine and the third was found innocent. 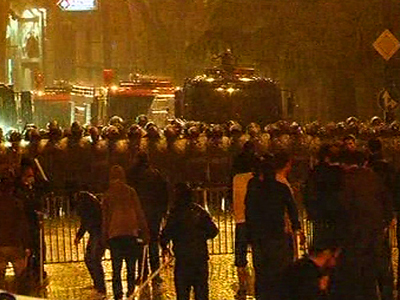 Police cordoned off the theater following the incident, the Georgian media reported. 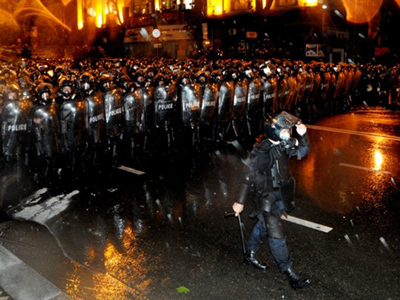 This incident follows the latest protests that hit Tbilisi on Wednesday. 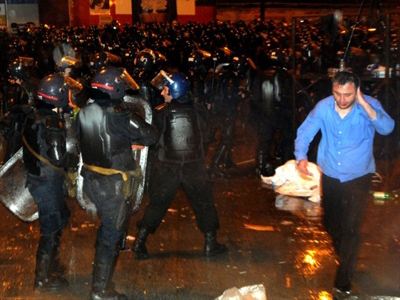 At least two people have been killed and over 30 injured in clashes of police and demonstrators. The latest chocolate-throwing incident vaguely resembles one in which the former president of America George W. Bush, who had shoe lobbed at him from Iraqi journalist Muntazer al-Zaid in December, 2008. The journalist consequently received a three year jail sentence.